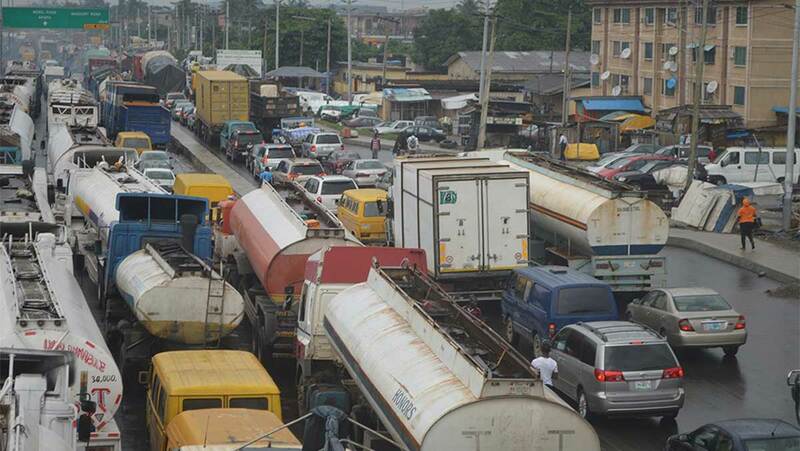 Nigeria’s Vice President, Professor Yemi Osinbajo, on Friday gave an order for the traffic gridlock in the Apapa area of Lagos State to be resolved within 72 hours. Mr Osinbajo gave this directive when he paid an unscheduled visit to the area, which has become a thorn in the flesh of many people and businesses operating in the vicinity, which has the nation’s busiest port. The Vice President said the police, Nigeria Navy, Nigeria Army, Nigeria Air Force, Federal Road Safety Corps (FRSC), Nigeria Civil Defence and Security Corps (NSCDC), Lagos State Traffic Management Agency (LASTMA), Lagos State Emergency Management Agency (LASEMA), container truck drivers, National Union of Road and Transport Workers (NURTW), National Union of Petroleum and Natural Gas (NUPENG), and Road Transport Employers Association of Nigeria (RTEAN) must work together to achieve this. He further urged Ministries Department and Agencies (MDAs) to speed up the decongestion of Apapa Port. Mr Osinbajo said these agencies must take all the necessary and appropriate steps to restore order to the traffic situation and speed up work on the port decongestion. Similar orders were made in the past. It was gathered that the Vice President first at the Tin Can Island park, flown in by a Nigerian Navy chopper, and accompanied by the Transport Minister, Mr Rotimi Amaechi, and senior naval and police officers. He walked close to the traffic to see the situation of things and then proceeded to the Five Star Berth at the Nigeria Port Authority (NPA), where he met with relevant officials and security officers.